This entry was posted on August 2, 2018 by ND T4D. 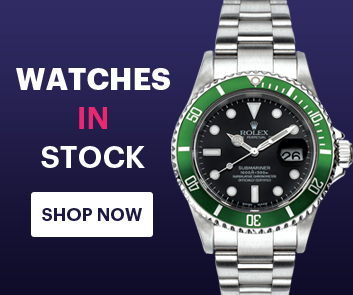 For fans of luxury watches, there are a few timepieces that stand out among the others. Sporting iconic designs, there are a handful of timepieces that are so legendary they can be spotted from a mile away. Once such watch is none other than the Patek Philippe Nautilus watch. However, merely having the will and the funds to want one doesn’t necessarily guarantee that you’ll get one. In fact, the Patek Nautilus is one of the hardest high-end watches to find right now. Let’s find out why. Conceived by famed designer Gerald Genta and launched in 1976, the Nautilus was unlike any other watch Patek Philippe had ever created. 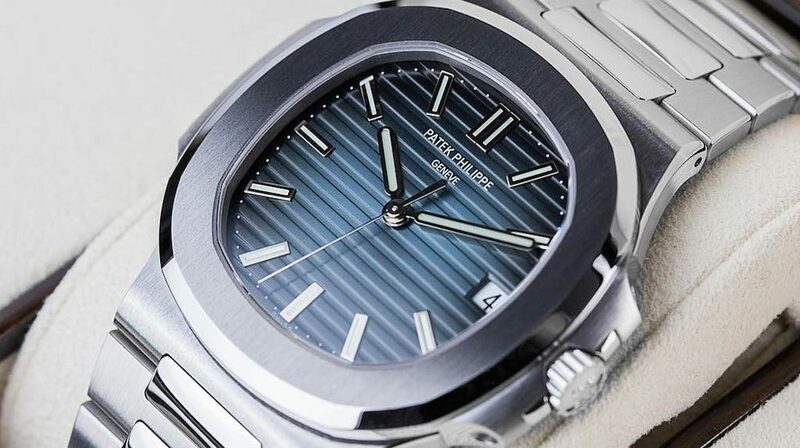 A sports watch through and through, the Nautilus stood out among elegant Patek dress watches with its steel construction, and robust design that incorporates a porthole-style case, a dial with horizontal grooves, and an integrated bracelet. Even more shocking for the times was its hefty price tag, considering it was made from steel rather than precious gold or platinum. The Nautilus was just the watch for the jet set of the era who spent their time cruising on luxury yachts, soaking up the sun at exotic beaches, or frolicking in the snow at exclusive ski resorts. The ultimate high-end sports watch to flaunt while partaking in leisurely activities. Fast-forward to today, and the Nautilus has remained as the top status watch to own. While the design codes of the watch have remained almost identical to the inaugural 1976 model, Patek Philippe has offered plenty of different versions of the Nautilus over the last four decades. Along with steel, there are also gold, diamond, and platinum Nautilus watches. Plus, although the original Nautilus only featured time and date functionality, today there are more complicated Nautilus watches with functions such as chronograph, annual calendar, perpetual calendar, moonphase, and so on. In 2012, during a Baselworld interview, Patek Philippe President Thierry Stern said his company produces around 50,000 watches a year. For context, it’s estimated (many watch manufacturers don’t officially divulge their production numbers) that Rolex produces closer to one million watches a year. So comparatively, Patek Philippe has relatively low production numbers. Even if Patek has slightly increased their production numbers today, only a small portion would be dedicated to Nautilus models, and an even smaller percentage to stainless steel Nautilus watches. So it’s safe to say that in today’s market, the demand for the Nautilus—particularly the ultra-popular stainless steel Nautilus ref. 5711/1A—outpaces the supply. 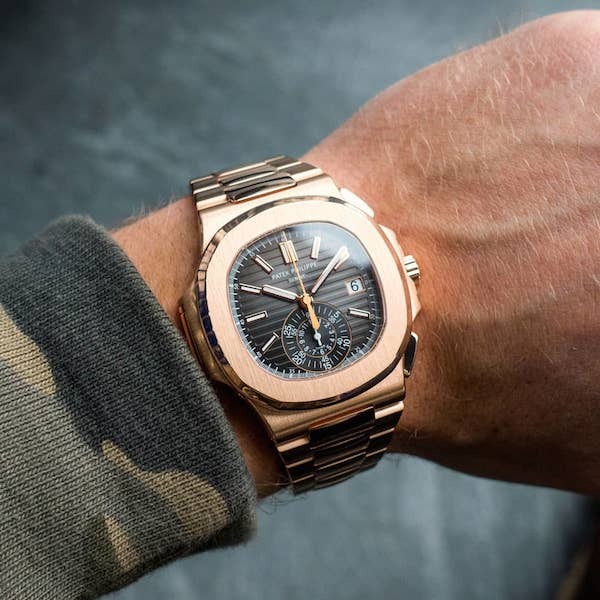 From superstar musicians to film stars to business moguls to professional athletes, celebrities are in love with Patek Philippe Nautilus watches. Look closely at the wrists of Brad Pitt, Ellen Degeneres, Ed Sheeran, Victoria Beckham, and Conor McGregor and you’ll often see a Nautilus there. Aside from just wearing them, rappers like Jay-Z, Offset from Migos, Cardi B, and a slew of others even include the famous Geneva-based watchmaker in their lyrics with a littering of reference numbers for good measure. And of course, this fuels the appetite for the Nautilus even further among the general public. 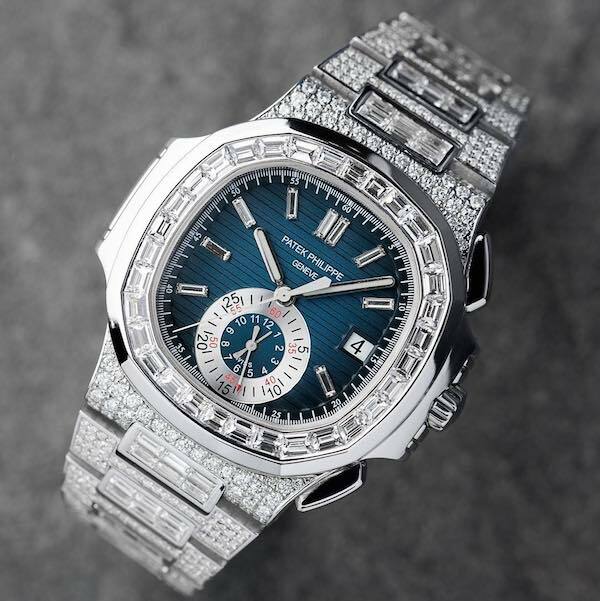 Whether its iced-out versions or editions with complications or understated steel models with just the time and date, it’s clear that the Nautilus enjoys its own celebrity-status. 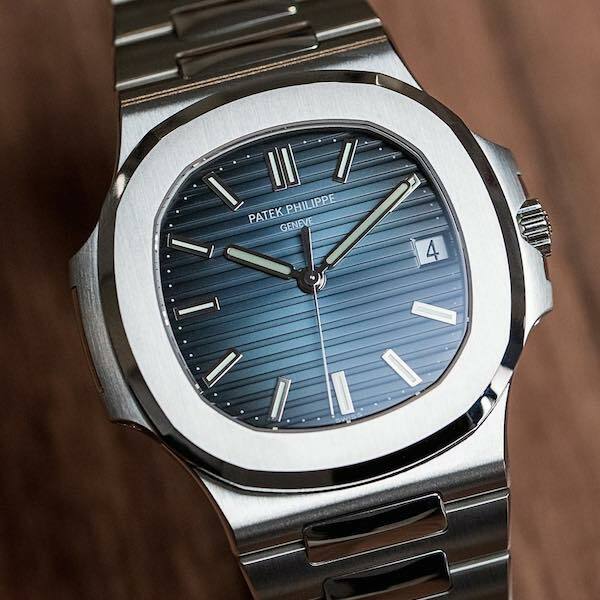 Lucky for you, if you’re looking for a hard-to-find Patek Philippe Nautilus, then Time4Diamonds has an impressive selection to choose from. Flood them with diamonds or leave them as is, a Patek Nautilus is one top timepiece to own.